Berg Marine Surveys prides itself on integrity and thoroughness in all types of vessel survey and inspection work. We perform surveys in Western Washington between Olympia and Blaine along the I-5 corridor. 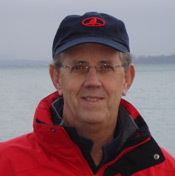 Steve Berg is a member of the Society of Accredited Marine Surveyors®, AMS® #984 (Yachts & Small Craft). Services descriptions as defined by SAMS®, Stephen Berg, AMS #984. Please call 360-301-6879 for more information and rates.